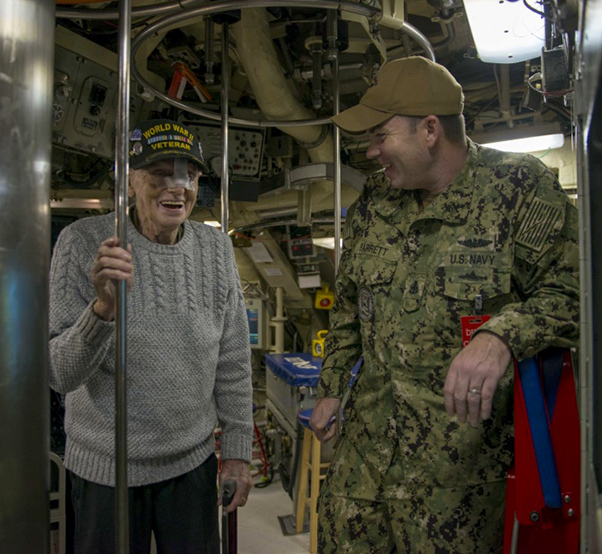 Senior Chief Electronics Technician (Navigation) Brian Barrett, assigned to the Blue crew of the Ohio-class ballistic missile submarine USS Pennsylvania (SSBN 735), gives World War II veteran Roy Solt a submarine tour. Solt served aboard the Pennsylvania-class battleship USS Pennsylvania (BB-38) as a Fire Controlman and was aboard when the ship was torpedoed in 1945. 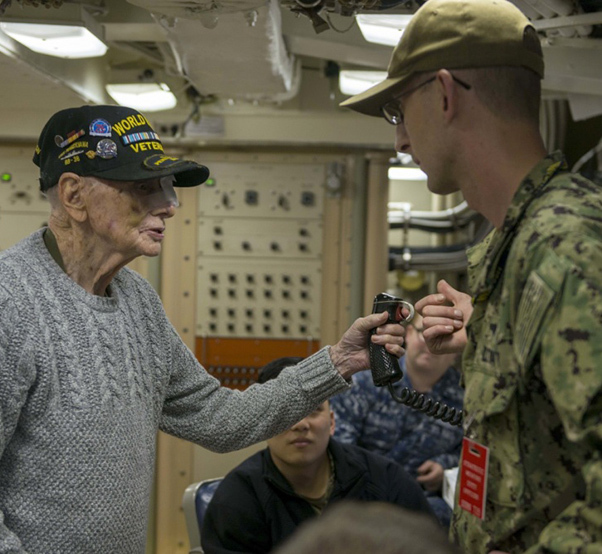 The Blue crew of Ohio-class ballistic missile submarine USS Pennsylvania (SSBN 735) welcomed a World War II veteran on the Navy’s 243rd birthday for a tour. Roy Solt, who served on Pennsylvania-class battleship USS Pennsylvania (BB-38), was invited to see the capabilities of the ballistic missile submarine and meet with Sailors. Solt enlisted in the Navy in Salt Lake City when he was 17. He was sent to boot camp in San Diego and arrived there via cattle car; he added they “cleaned out the poop out first.” Following boot camp, he reported to battleship Pennsylvania. 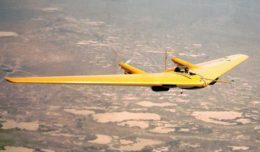 On Aug. 12, 1945, while anchored in Buckner Bay, Okinawa, a Japanese torpedo bomber struck the boat, leaving a 25-foot by 40-foot hole in the ship, flooding many compartments. Solt recounted offloading 100-pound bags of wet sugar to prevent the ship from sinking. He lost 20 shipmates that day. 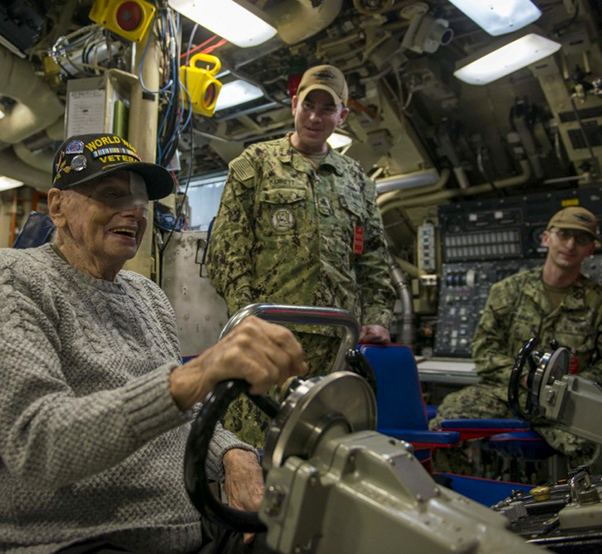 World War II veteran Roy Solt man’s the helm during a tour of the Ohio-class ballistic missile submarine USS Pennsylvania (SSBN 735). Solt served aboard the Pennsylvania-class battleship USS Pennsylvania (BB-38) as a Fire Controlman and was aboard when the ship was torpedoed in 1945. Master Chief Petty Officer Dylan Lapinski, Gold Crew chief of the boat, recently received a box of memorabilia from a deceased World War II veteran. In that box were many photos he had framed and placed in the Chiefs Mess. By coincidence, one of those photos had Roy Solt in it and was taken right after the torpedo hit the boat. Solt served on Pennsylvania as a fire controlman. He was especially interested in the weapon’s system aboard the submarine. Senior Chief Missile Technician Sheldon Brammer, assigned to the Blue crew of the Ohio-class ballistic missile submarine USS Pennsylvania (SSBN 735), shows World War II veteran Roy Solt how to push the weapons officer training trigger in the missile control center during a submarine tour. Solt served aboard the Pennsylvania-class battleship USS Pennsylvania (BB-38) as a Fire Controlman and was aboard when the ship was torpedoed in 1945. Solt finished his visit to the Pacific Northwest by attending the Navy’s 243rd birthday ball at Naval Base Kitsap-Bangor. Sailors lined up to talk with him and listen to his stories. 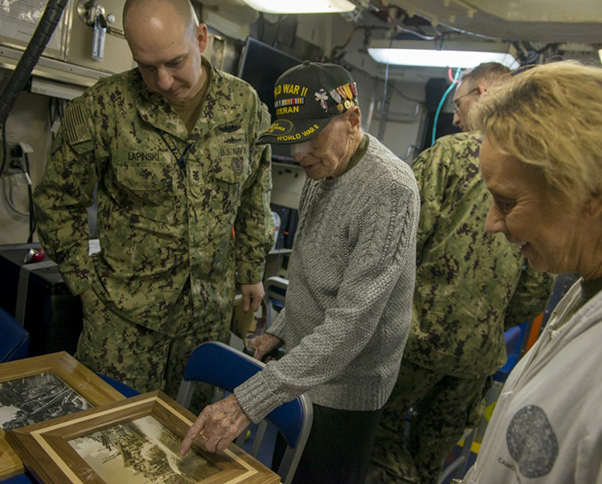 World War II veteran Roy Solt discovers that a photo of him and his shipmates is displayed in the chief’s mess during a tour of the Ohio-class ballistic missile submarine USS Pennsylvania (SSBN 735). Solt served aboard the Pennsylvania-class battleship USS Pennsylvania (BB-38) as a Fire Controlman and was aboard when the ship was torpedoed in 1945.